Law Partnership Office Lazarević & Pršić Attorneys is one of the leading law offices in the Republic of Serbia in the area of commercial, property and labour law. Owing to covering a greater scope of work in terms of the local market, and focusing of professional resources on the staff experienced in the practice of law, we have appropriate professional resources to ensure speed and flexibility, and the focus on the delicacy of clients’ problems and needs. Our focus is not on the broad analysis of obstacles standing in the way of our customers' business operations, but on finding effective ways to solve problems and make proposals of practical solutions in accordance with individual characteristics of the case and specific needs of clients’ business. We never allow that the law becomes an end in itself, but we are trying to put the legal framework in the function of finding not only legitimate, but also reputational optimum solutions for our clients, in such a way that imperative legal norms are not an obstacle, but a useful tool in the hands of successful businessmen. The Law Partnership Office Lazarević & Pršić Attorneys was founded in January 2005 as a legal service office for corporate clients, with the idea that this type of clients often needed not only highly professional and responsible legal services, but also constant support in their operations with a proactive approach and refined and creative solutions to the problems they faced. The Office is proud in particular of Pro bono services it provides to clients in need, in cooperation with the Faculty of Law of the University of Belgrade. Attorney at law, Ana Lazarević is a member of the Bar Association of Belgrade and of the Bar Association of Serbia since 1996. As a senior partner, Ms Lazarević is in charge of the HR Department operations, Real Estate Development Department and Intellectual Property Department. Ms Lazarević’ area of expertise is labour law with respect to which she holds an extensive experience in resolving problems in all areas of individual and collective labour law, with a special emphasis on corporate redundancy procedures as well as on the procedures of collective bargaining and resolving collective labour disputes by reconciliation and mediation methods. Ana Lazarević is an active litigation attorney holding long-time experience in representating clients before courts and labour inspection authorities. Ms Lazarević has long-time practice in the area of property and civil engineering law in the procedures for resolving property rights to land, obtaining of construction permits as well as in preparing complex agreements on investments and construction, holding FIDIC certification as well. Ms Lazarević is currently in preparation of her doctoral dissertation at the Faculty of Law at Belgrade University, labour-legal module. Ms Lazarević is the author of several published papers in the area of labour law and she is a regular lecturer at the Legal Clinic of the Faculty of Law at Belgrade University, under the program «Professional Ethics of Judges and Lawyers». Ms Lazarević is fluent in English and Italian language. Igor Pršić was born in 1972. When he was 13, he decided to become a lawyer, and since then he devoted his entire life to the legal profession. In 1966 he graduated from the Law Faculty of the University of Belgrade among the top 10 students of his generation. Immediately after graduation, he was employed as a lawyer trainee in Belgrade and has since been a member of the Bar Association of Belgrade. He established his private law practice in 1999 and quickly became recognized on the market. In February 2004 together with Ana Lazarević founded the law firm Lazarević & Pršić lawyers in Belgrade. They realized that the Serbian market requires law firms that are more pragmatic and flexible in providing daily legal assistance to large companies. The new law firm grew rapidly and soon became indispensable for clients who demand fast, practical and legal support oriented towards the goal. The concept on which Lazarević & Pršić's law office was built is "to be big enough to do the job and the kid enough to worry", as we discovered that customers value the speed of response and the personal attention of highly positioned professionals more than any attribute of a legal service. Igor Pršić is in the position of partner of LP law office, who runs the office, but he is daily dedicated to the role of lawyer. The fields of expertise of the Games are M & A transactions, debt restructuring, debt collection in bankruptcy and reorganization, and complex acquisitions in bankruptcy proceedings. Igor Pršić also has great experience and excellent results in resolving disputes in complex economic cases both in courts and arbitration tribunals. Since 2009, Igor Pršić holds lectures on a course of legal ethics at a legal clinic at the Faculty of Law, University of Belgrade. Currently, he is in the process of obtaining an MBA diploma at the IEDC - Business School Bled. Attorney at law, Radoslav Šalvarica is a member of the Belgrade Bar Association and of the Bar Association of Serbia since 2000. As a partner in “Lazarević & Pršić Lawyers”, Ms Lazarević manages the operations of the litigation department. The area of expertise of Mr Radoslav Šalvarica is representation of corporate clients and banks before courts and international arbitration courts in which he holds significant experience in resolving disputes in all fields of corporate law with a special emphasis on disputes in the area of banking operations. Mr Radoslav Šalvarica shows particular interest and dedication to bankruptcy proceedings and enterprise restructuring procedures. Radoslav Šalvarica is an active litigation attorney with long-time practice in representing clients before courts and in legal consulting. Mr Šalvarica is fluent in English language, and he also speaks Italian and Russian language. Attorney at law Ana Lazić is a member of the Bar Association of Serbia since 23.10.2011. Ms Ana Lazić specializes in the field of labour legal relations, while the scope of her work includes in particular representing clients before courts in labour-legal disputes, procedures before inspection authorities, mediation procedures and other forms of peaceful resolution of labour disputes, as well as participating in collective bargaining, collective and individual redundancy, drafting and providing assistance in drafting all types of labour-legal deeds, legal counselling in the field of human resources management, etc. Ms Ana Lazić speaks English (International Legal English Certificate - ILEC) and is fluent in German and Russian language. Attorney at law, Dalibor Manić is a member of the Bar Association of Belgrade and of the Bar Association of Serbia since 2010. Mr Manić works as an attorney in the HR Department. Mr Manić specialises in labour-legal relations, in particular for: representing clients before courts in disputes related to labour-legal relations, conducting redundancy procedures, drafting of all types of labour-legal documents, legal counselling in the area of human resources management, etc. Mr Manić speaks English and French. Attorney at law, Danijela Mićunović is a member of the Bar Association of Belgrade and of the Bar Association of Serbia since 2013. She works as an attorney in the HR Department. Ms Mićunović is specialized in labour-legal relations, representing clients before courts in labour disputes as well as before labour inspection authorities, conducting redundancy procedures, cancellation of employment contracts, drafting normative deeds in the area of individual and collecting labour law, legal counselling in the area of labour law, protection of personal information, etc. Ms Mićunović speaks English and is fluent in Italian and Spanish language. Attorney at law, Ivana Tešankić is a member of the Bar Association of Belgrade and of the Bar Association of Serbia since 2008. Ivana Tešankić is in charge of direct management of the Real Estate Development Department. The area of expertise of Ms Ivana Tešankić includes administrative law, property law, property-legal relations and civil engineering law. Ms Tešankić has significant long-time experience in providing services related to resolving property-legal relations, resolving real estate status, including the land status, conversion of the utilisation right into the title to land (conversion), drafting all types of contracts, including contracts on the construction, preparation and implementation of real estate acquisition projects, investment and construction, obtaining of all types of permits and approvals, legalization of facilities, representation in all administrative procedures and disputes, including the procedures before real estate cadastre, expropriation and restitution procedures. Ms Tešankić speaks English and Russian language. Attorney at law-mediator, Marija Zdjelar is a member of the Bar Association of Belgrade and of the Bar Association of Serbia since 2007 and the mediator registered within the Registry of Mediators within the Ministry of Justice of the Republic of Serbia since 2017. Ms Zdjelar is a senior attorney at law in the Corporate Department. The area of expertise of Ms Marija Zdjelar includes corporate and commercial law, with respect to which she has extensive experience in resolving problems in these areas, in particular issues related to establishing economic entities, drafting all types of corporate deeds, commercial contracts, conducting complex corporate procedures such as status changes and changes of a legal form, changes of all registered data of economic entities before the Serbian Business Registry Agency. Ms Marija Zdjelar is an active attorney at law with long-time practice in representing clients before courts in enforcement, bankruptcy proceedings (bankruptcy and restructuring procedure), as well as in all litigation proceedings. As a registered mediator, Ms Zdjelar holds the Certificate of completed Basic Training for Mediators PS 242-O/2015 dated 04.12.2016 as of which date she intensively represents parties in mediation proceedings in all legal areas. Ms Zdjelar is fluent in English language. Attorney at law, Miodrag Todorović is a member of the Bar Association of Belgrade and of the Bar Association of Serbia since 2014. As an attorney, Mr Todorović participates in the operations of the Real Estate Development Department and Intellectual Property Department. 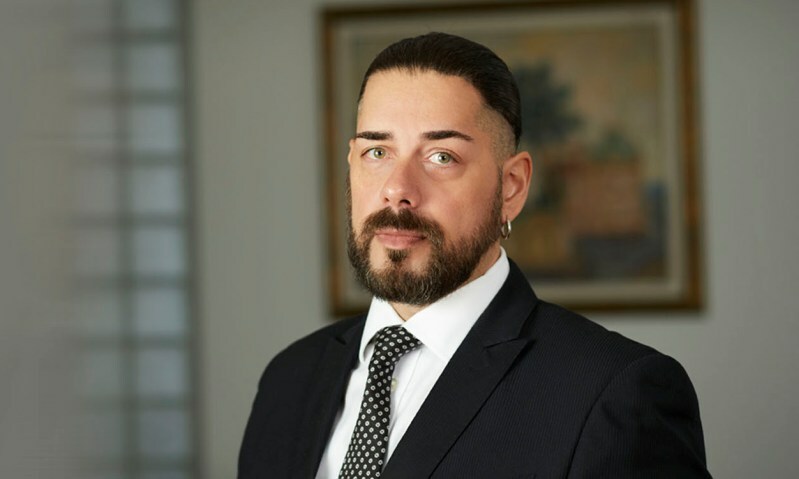 The area of expertise of Miodrag Todorović includes administrative procedure, property law, property-legal relations, intellectual property rights, business-registration procedure. Mr Todorović’ experience in law practice includes resolving different types of administrative procedures, representation in administrative procedures, resolving business-registration procedures before the Business Registers Agency and the Intellectual Property Institute, resolving all issues and problems in the area of property-legal relations and civil engineering law, resolving real estate status, successful representation in legalization procedures, restitution, expropriation, land conversion, representation before courts in litigations related to intellectual property rights protection, as well as in drafting all types of contracts within the area of expert action. Mr Todorović is fluent in English and Italian language. Milan Perovic was a member of the Belgrade Bar Association and Serbian Bar Association from 1995 to 2009. As a lawyer, he has profiled himself as one of the most prominent lawyers on the local market in the legal representation of investors in large construction investments. In addition to experience in legal practice, he gained significant experience in state administration, given that he served as a member of the Executive Board of the City of Belgrade responsible for property-legal affairs and land, as well as President of the Managing Board of the Directorate for Land Development Belgrade. Directly he was engaged in the construction of the Belgrade Arena, the Bridge on Ada and Free Zone Belgrade. After leaving the practice as a lawyer, he founded his own company dealing with its own investments in the construction sector, as well as legal consulting for other investors. Since 2015 he has been an advisor in our office for work in the field of real estate. ​​Milan Perovic’s expertise areas are property problems resolution, and all related legal services in the process of construction investment. He was engaged as a local legal advisor in the implementation of projects financed by the EU. Milan is fluent in English. After completing internship course in the law office and passing the bar exam, Ms Radmila Jašarović started a career in banking. Ms Jašarović holds 13-year long experience of work in international financial institutions, of which 8 years account for performing managerial functions. During this period, Ms Jašarović has acquired extensive professional experience in the area of banking, finance, corporate law and management as well as in establishing new systems and procedures and adjusting companies’ business operations with the regulations of the Republic of Serbia. In December 2015, Ms Jašarović joined Lazarević & Pršić team as a Senior Counsellor for Banking and Finance in Corporate, Enforcement and Banking Department. Ms Radmila Jašarović speaks English and has intermediate level knowledge in Russian language. Mira Vučetić Pršić is a consultant in the Lazarević & Pršić team since 2008. It is specialized in the field of contract law, especially the right to lease. In the last 6 years she has been engaged in the project of Robna kuća Beograd, where she participated in the negotiations and made several hundred contracts for 32 facilities. She participated in negotiations and contracting for other major shopping centers, on the side of the leaseholder and on the side of the lessor, as well as in solving potentially problematic situations during the lease period. She has significant experience in the field of mediation and other forms of peaceful resolution of disputes. She is fluent in English, and has elementary knowledge of Spanish, Italian and Turkish.